If nostalgia isn’t an outright lie, it’s a selective interpretation of the truth. 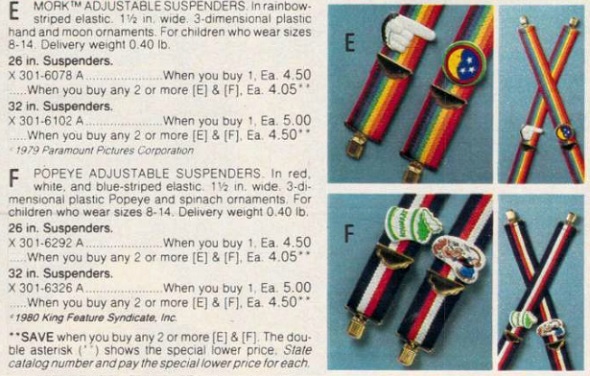 …when the universe could sustain not one — but TWO — sets of novelty suspenders based on Robin Williams characters. I always forget that there was a Popeye movie.